File photo for representation purpose only. Chandigarh, Jan 20 (IANS) Indian missions in the United States and Canada have sought security arrangements from local police and authorities as separatist pro-Khalistan group Sikhs For Justice (SFJ) has given a call for disrupting the flag hoisting ceremony at the 70th Republic Day function. Sources have told IANS that security has been sought for official functions to be held across cities in the United States and Canada. A large number of people of Indian origin are settled in both countries. 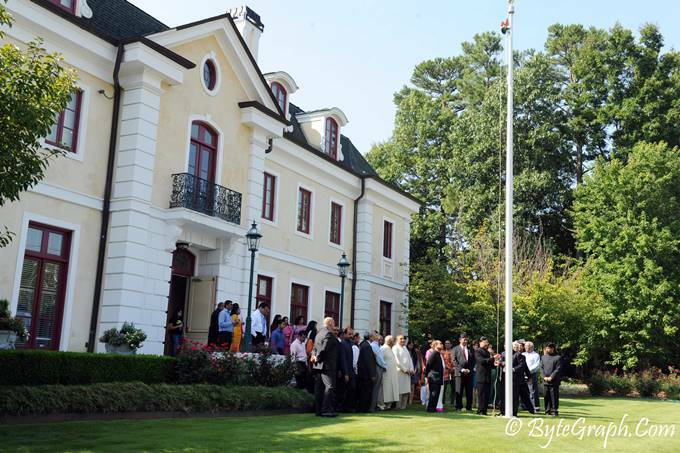 In the United States, R-Day functions have been planned in Atlanta, Washington, New York, Houston, San Francisco and Chicago. Similar functions have been planned in Ottawa, Vancouver and Toronto in Canada. Toronto and Vancourver have a large Indian diaspora, especially from Punjab and the Sikh community. In a statement issued from its New York headquarters through its legal advisor Gurpatwant Singh Pannun, the SFJ said that it will honor the pro-Khalistan Sikhs who will foil the hoisting of Indian Tricolor during the Republic Day celebrations. The SFJ is considered a Sikh separatist group by intelligence agencies which is demanding the creation of Khalistan (land of the pure) as a separate territory for Sikhs. In recent years, the SFJ has increased its separatist activities in United States, Canada and Britain. In December last year, the SFJ put up separatist posters and hoardings of ‘Referendum 2020’ in Pakistan when Indian pilgrims went to Nankana Sahib town to celebrate the 549th birth anniversary of Sikhism’s founder, Guru Nanak Dev. Punjab Chief Minister Amarinder Singh, who is very vocal in criticising the SFJ and its activities, had ordered a crackdown on the outfit amid “complaints by people of deliberate attempts to vitiate the state’s atmosphere”.